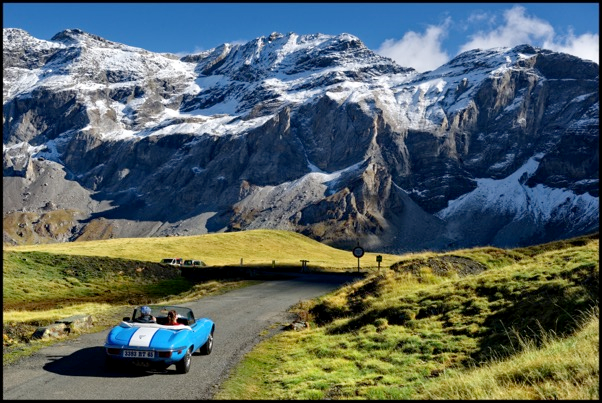 New from the Hautes-Pyrenees, France in association with Huesca*, Spain, is a series of 3, 4 or 7 day Road Trip itineraries taking in some of the most iconic landmarks in the Pyrenees as well as routes linking the French and Spanish borders. With these itineraries taking you from France into Spain and back, the Road Trip Pyrenees hopes to evoke the spirit of adventure that other famous routes such as the Route 66, the Silk route, the trans-Amazonian highway have created. The Road Trip offers a super highway to exceptional places of magnificent spectacular scenery, for unique experiences and long lasting memories. Combining some of the key sites of the Pyrenees including: Lourdes, Cirque de Gavarnie, Pic du Midi, Parc National des Pyrénées, Parc National de Ordesa and Monte Perdido, Le Grand Canyon d’Ordesa, Cañon de Añisclo, The Trou du Toro/Forau de Aigualllets and The Aneto – the itineraries covering over 25% of the Pyrenees massif. Each itinerary comes with precise daily information of the required driving route including maps for each day with distance and time of travel by car all detailed. 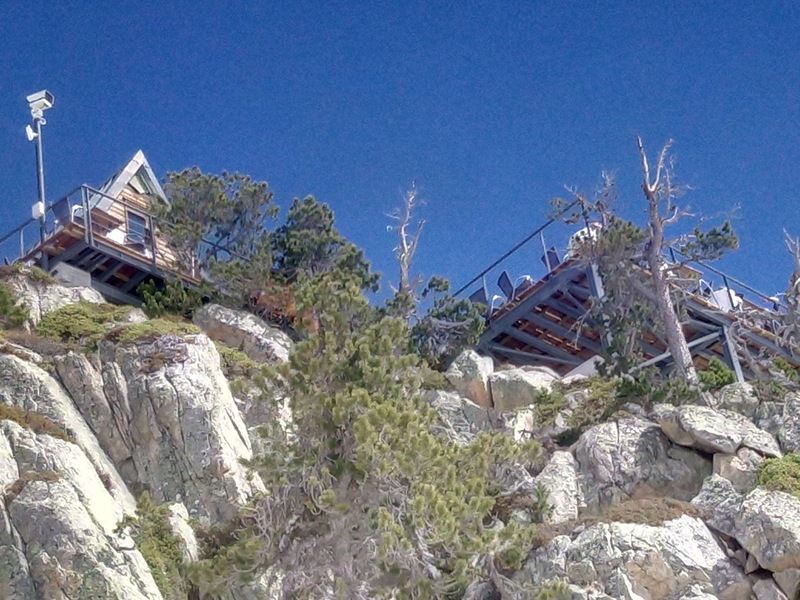 All accommodation is booked for each of the itineraries through the boutique agency www.pyrenees-holiday.com . A new ‘road book’ detailing all the itineraries is also available in print and provided for each road trip booking. The road book details, besides route information, ideas for walks, great restaurants, activities, sites to visit, not-to-be-missed panoramas and suggestions for exploring off the beaten track. 3 days/3 nights in B&B, staying in Saint-Lary, Gavarnie, Lourdes, 1 ‘Grands Sites’ pass to the Pic du Midi (access to summit by cable car) + Cauterets-Pont d’Espagne (parking, cable-car ride from Puntas and chairlift to Lac de Gaube), 1 entry (2h) to two spa centres of the Hautes-Pyrenees: Balnéa and Les Bains du Rocher spa. 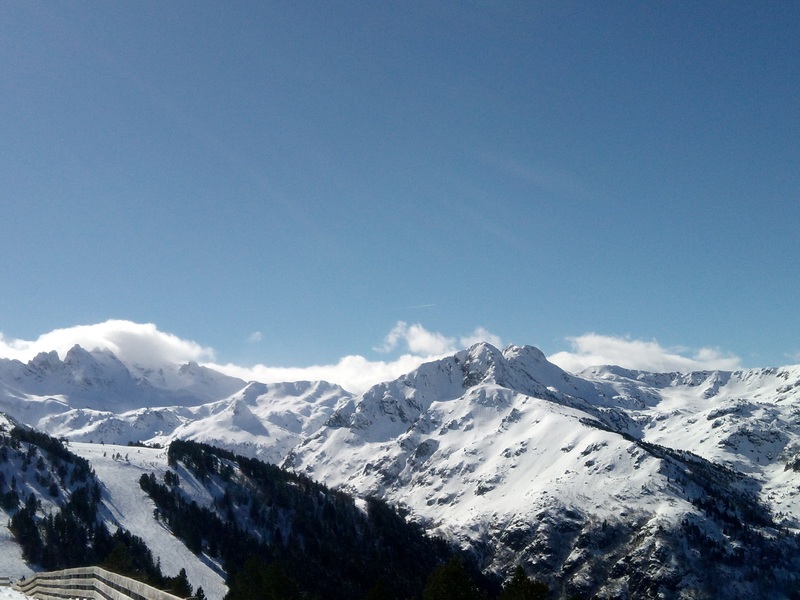 *The Pyrenees-Trip Project combines the Tourist Development Agency of Hautes-Pyrénées (HPTE) and TUHUESCA, its Spanish counterpart acting on the Region of Huesca. The project has been co-funded 65% by the « Fonds Européen de Développement Régional ( FEDER) through the Program INTERREG V-A Spain, France, Andorra , (POCTEFA 2014-2020).The aim of POCTEFA is to strengthen the economic and social integration of the border territory between Spain-France-Andorra. Its assistance is focused on the development of cross-border economic, social and environmental activities through joint strategies that promote the sustainable development of the territory. 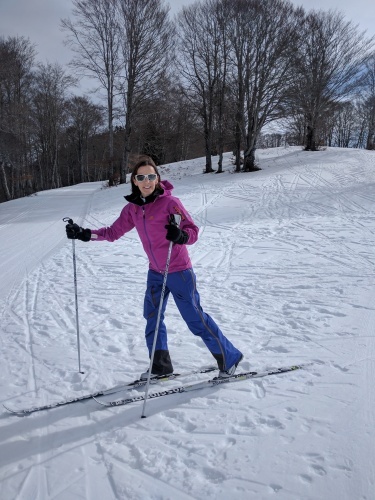 We started with 30cm of fresh powder & ended touring the religious shrines of Lourdes on Good Friday. Plus had some great Spring skiing in between. It’s been more than 15 years since I last skied in the resorts of Bareges and La Monjie that make up the 100km ski area of the Grand Tourmalet. Much has changed. And yet little has changed. 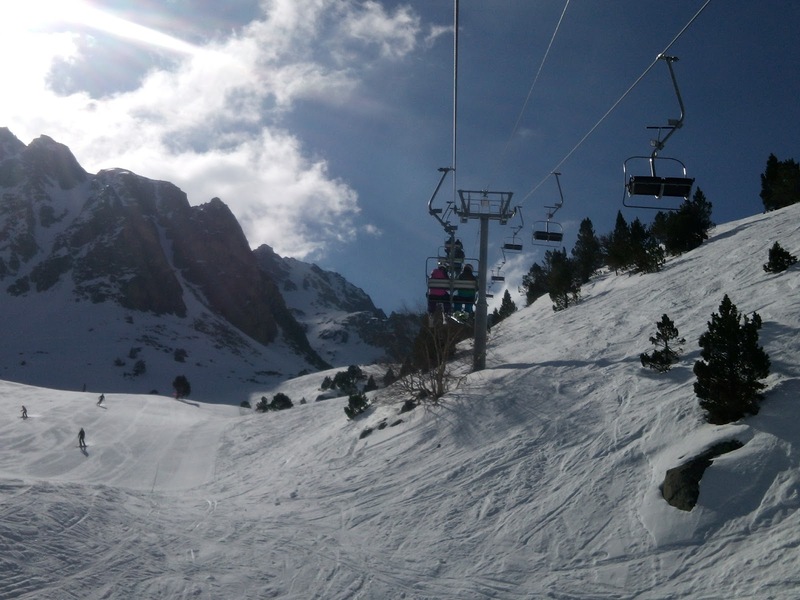 There have been many new lifts with more to come as PlanetSKI reported earlier, but it still retains an authentic and original Pyrenees feeling. 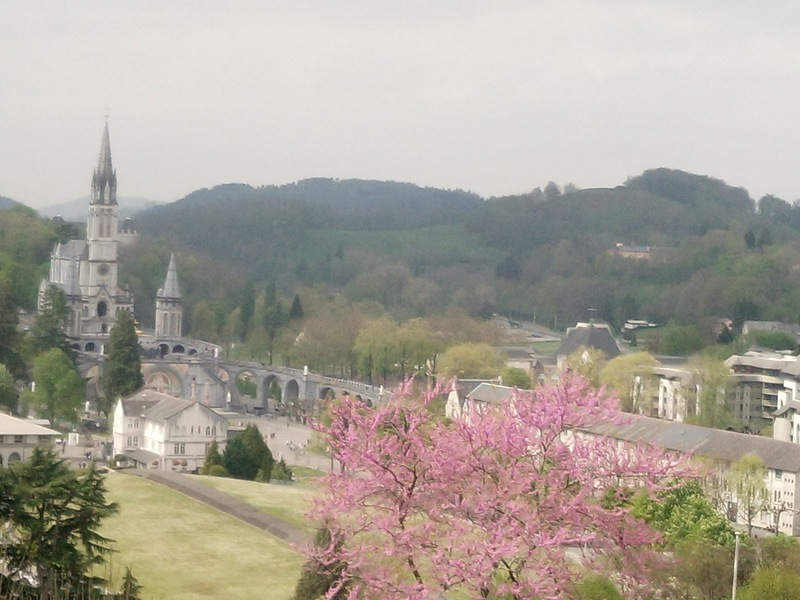 There are good value flights to Lourdes and an equally well-priced apartment in the village of Bareges – I booked through the same tour operator I had travelled with 15 years ago, Borderline Holidays. As the week progressed more of the slopes closed down under blazing sunshine and blue skies, but each day we had enough snow. There was the short black run, Coupe du Monde, a challenge for our youngest son Zac aged 8. 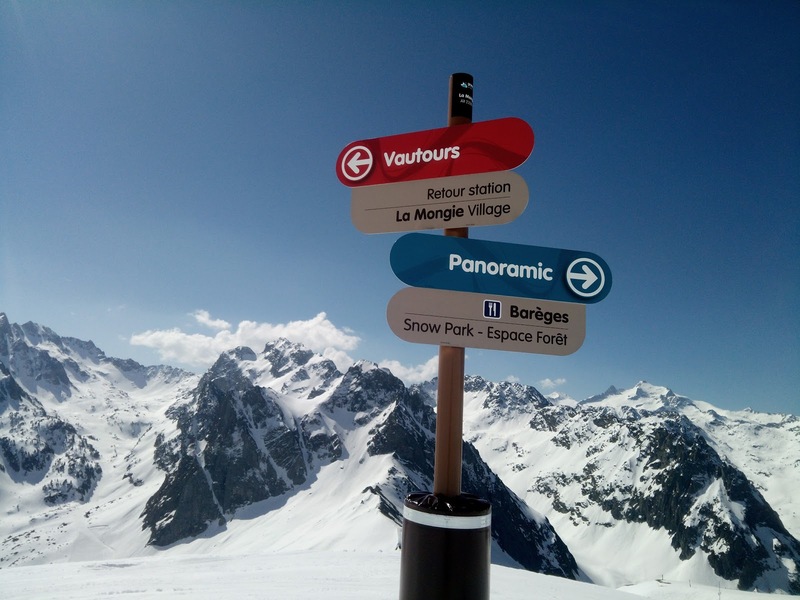 From there we accessed the fast red runs above La Mongie – pit-stopping at the Igloo bar in the ski-in-out village for crepes and coffee mid morning. 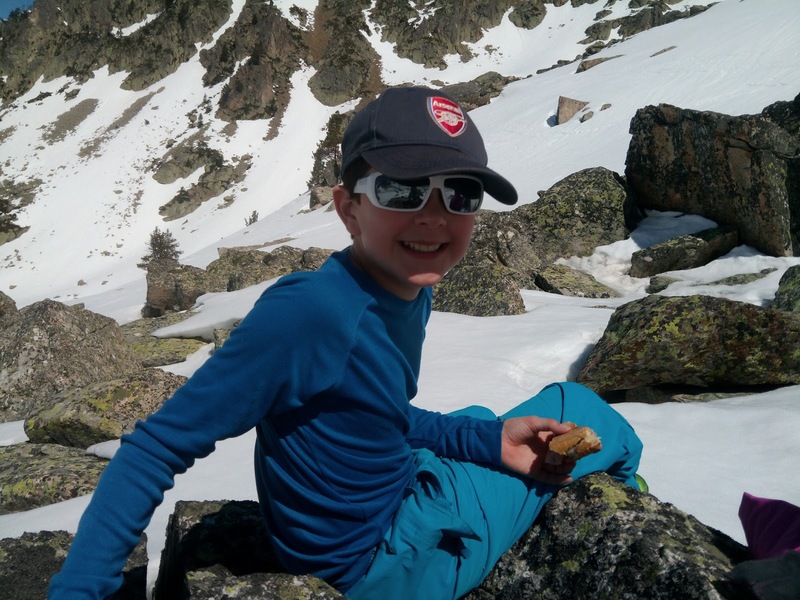 We found a perfect picnic spot in the rocks to the side of the main piste on several of our days. A new restaurant opened in February, ‘Chalet des Pisteurs’ – playing funky but mellow dance music and with a huge terrace perched literally on a huge rock above the top of the Pourteilh chair. One morning we booked in for ‘premier traces’. Our ski patroller, Bernard, told us sometimes they get to ski powder on these early starts but of course, at 8am in mid April, we had ear-deafening ice to screech down. No matter as watching the sun kiss the top of the mountains as it rose, was beautiful. A highlight of the trip. The Espade blue slope in to the main bowl hitting perfection in terms of condition just after 9am. All too soon our week of Easter family fun was over. With only a 40 minute drive to Lourdes we decided to pay a visit to the religious shrine. 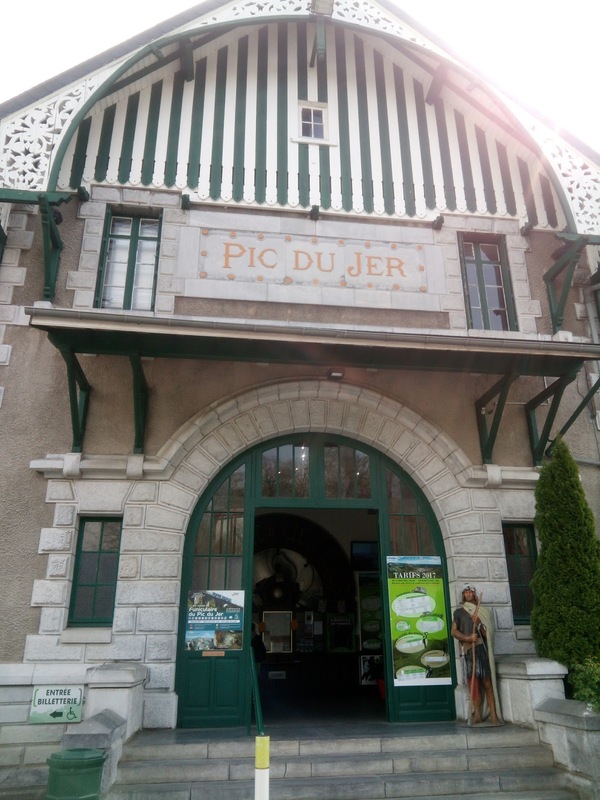 We took the 100 year old Pic du Jer funicular above Lourdes for the 360 panoramic views of the area. We speed hiked to the summit with its huge cross, followed by a flying visit of the medieval castle. Climbing the 104 steps up the tower offers great views over to the main church. Many spaces in the castle now feature museum-style rooms showing displays of the Pyrenean past. We all loved the old ‘latrines’, simple slats high up in the rock and the ‘drop-box’ through which boiling oil or molten lead would be tipped on to the enemy below. My daughter has been learning about Bernadette’s vision of the Virgin Mary at Lourdes at school, so a visit to the famous grotto was imperative. Followed by a quick peek in to the huge underground basilica. We must have watched 50+ wheel chairs process in for the Good Friday service. Even if you are not religious the place feels serene and being out of the busy summer months, it was not too busy. Taking off from Tarbes-Lourdes airport after a week of skiing and a taste of culture, and skiing to almost to the last day of the winter season, felt all the sweeter for being booked so last minute. 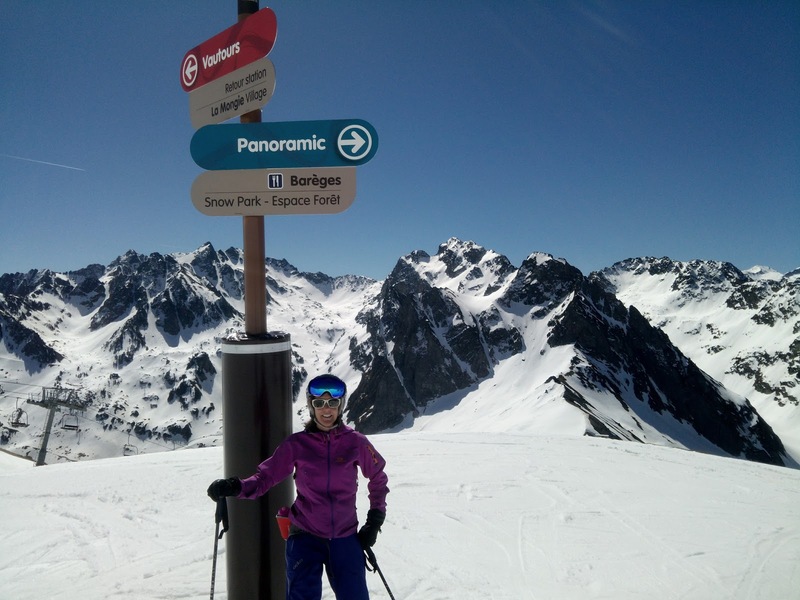 We had managed to squeeze in one week skiing before the Grand Tourmalet closes on Easter Bank Holiday Monday. I was hoping to ski the Pic du Midi on this visit. 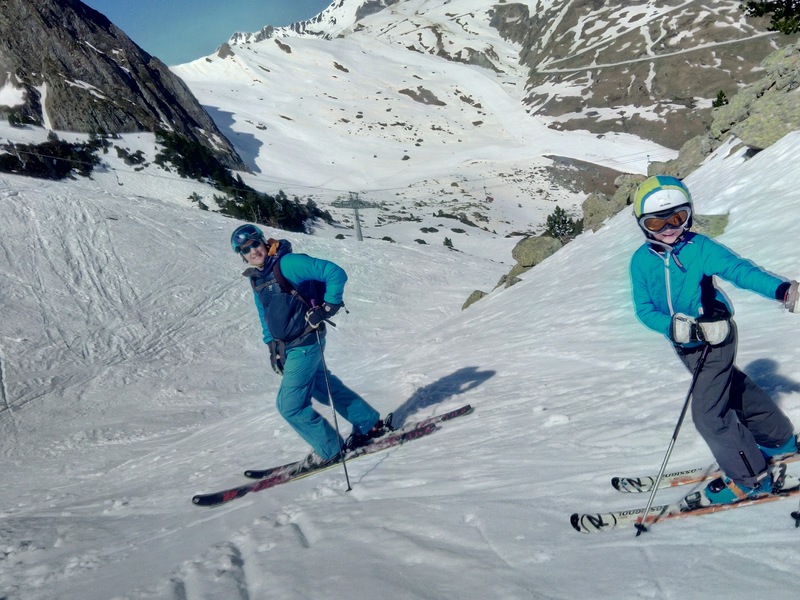 It is a huge off piste and freeride area that the PlanetSKI editor, James Cove, has skied a few times and he highly recommends it. It wasn’t an option for skiing on my previous visit in 2002/03, and it wasn’t an option this time with a young family in tow as the snow-free walk out at the top was too long to subject the family to. But skiing the Pic du Midi is the one I’m coming back for. 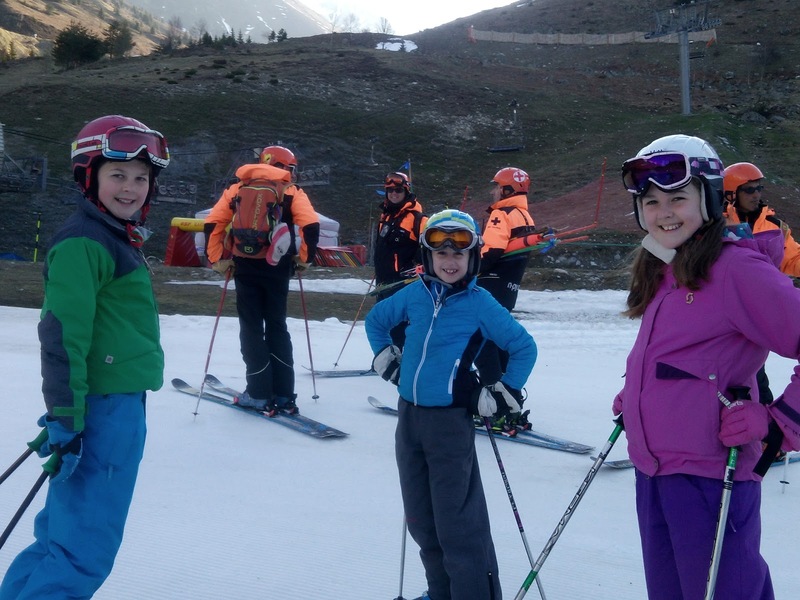 With thanks to Intersport for ski rental. The gang of 7 arrived just as a huge storm set in over the French Pyrenees. With strong winds and inclement weather skiing plans needed urgent tweaking for family entertainment. Bad weather days often bring unexpected fun. We arrived in Ax-les-Thermes in the Ariège region of the French Pyrenees the first weekend of the busy half term week, the night before a massive storm set in. 90mph winds closed almost all the lifts at Ax-3-Domaines on our first morning. 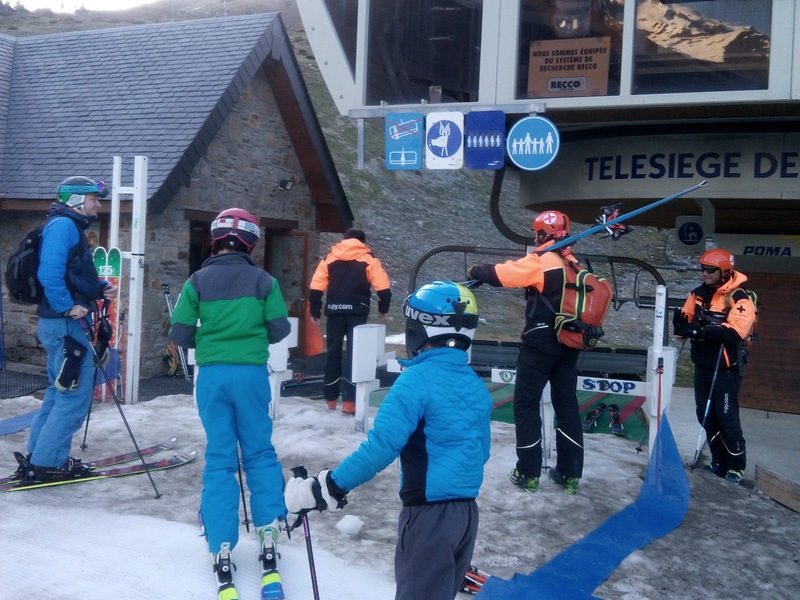 The closest smaller ski area of Ascou was open but with rumours of 1hr 30 queues for each lift, we decided, after speaking to some locals, on an alternative. 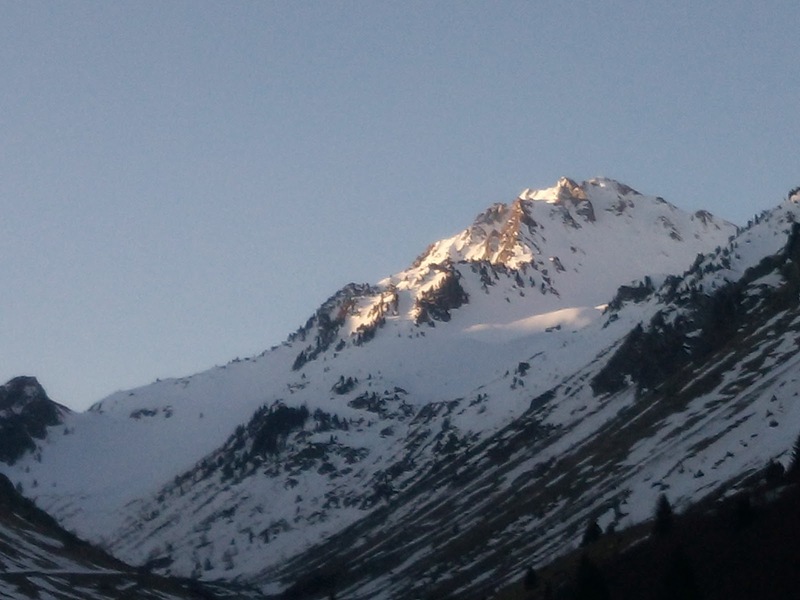 We left Ax and headed for the Col du Chioula to find the cross-country ski area. 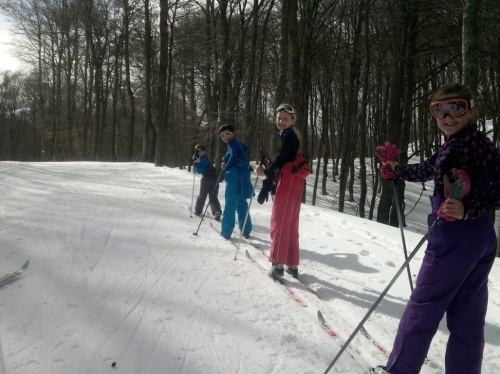 Day passes bought and kitted up, we spent a few minutes ‘clipping in’ and getting used to the very thin and lightweight skis. Soon we were heading up the green route following the narrow tracks which you slide your skis in. One loop around the easiest green track and a few tumbles along the way and we found ourselves on the long blue climb up towards the refuge at 1600m. The cross country trails offered stunning views out over the Pyrenees and then we would turn in along beautiful, tree lined tracks through the woods. Our little gang of seven had so much fun, the children (and me!) were really challenged and we all loved learning this sport. I had tried it just once in Kimberley BC many years ago. If the weather had not been so bad we would never have had this experience and seen the fantastic area at Chioula. With the storm passing we finally made it up from the town of Ax-les-Thermes, where we were staying, to the start of the ski area at Bonascre at 1400m. As we rode the fast Lièvre Blanc and Tute six man chairs higher up the resort we could see the fresh snow that the overnight storm (and rain in the valley) had brought. All day we found fresh lines under increasingly blue skies. 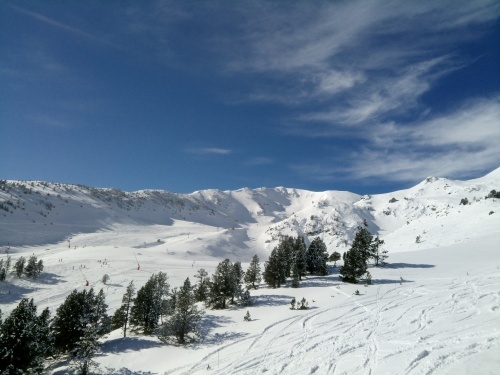 In our two days we skied pretty much all the three ski areas – Bonascre, Saquet and Campels – which make up Ax-3-Domaines, and enjoyed lunch stops in our favourite restaurant, Le Louzat, tucked away between the poma lifts in the woods at Saquet. 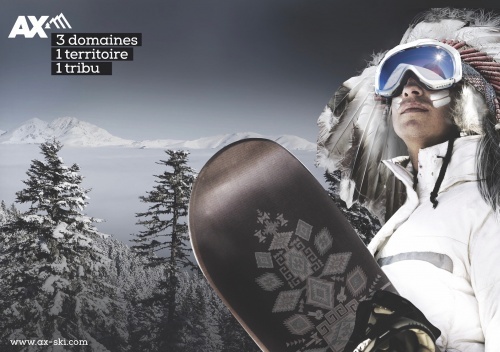 We loved the skiing ‘Indian’ Ax uses on its logo and branding – “3 areas, 1 territory, 1 tribe’. People who ski Ax – 93% French locals – are proud of their ‘tribe’. The town of Ax-les-Thermes, named after the naturally occurring sulphuric water, is full of history – the old hospital, chapel and old foot bath contrasting with the newer foot bath near the gondola and more modern recreational thermal spa. The influences from its proximity to Spain and Andorra are seen in the mix of tapas restaurants along the main street. 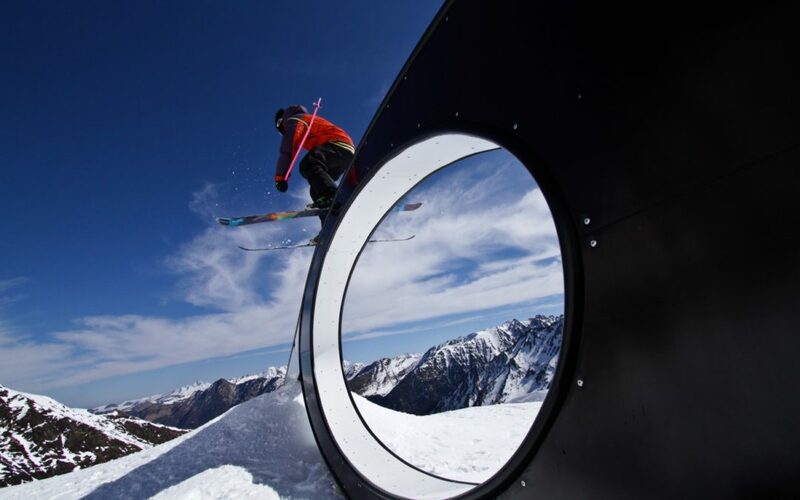 Over the next three years more than 25 million Euros will be invested in new lifts to alleviate the bottle necks in the resort and bring the system up to date. There are also ongoing discussions to re-build the gondola from the village of Merens-les-Vals where the original lift to the Ax ski area was built. Ax isn’t huge, its locals love it and I can understand now why they are proud to be called a ‘tribe’. 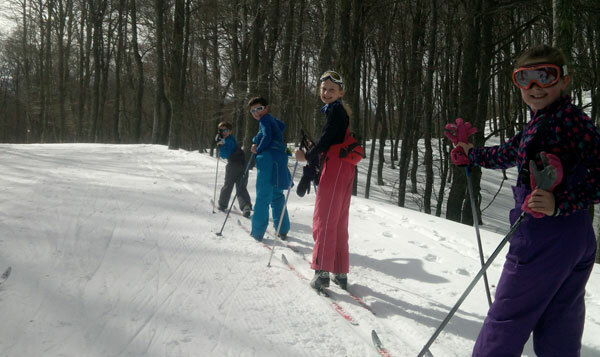 Skiweekends.com offers short breaks to Ax-Les-Thermes. Thanks to Intersport for ski rental. For information on the Ax ski area visit Ax-ski. 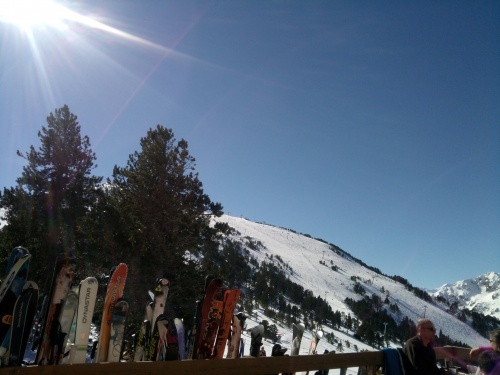 More information on the 2016 Pyrenees Ski Road Trip when PlanetSKI visited Font Romeu, Les Angles and Ax-3-Domaines.